We ship internationally via USPS. For international orders please be aware that the credit card information you give us must match exactly the info on file with your bank. We find this is easier said than done and we recommend our international customers check out with PayPal. If you are dissatisfied with your order or there is any claim of product damage or defect, please contact us within 48 hours at 1-212-219-8494 to provide us with notice and discuss available options. There are no returns allowable on custom orders. All custom orders that are returned due to damage can be repaired and returned back to the customer. There are also no refunds on sale items. We now offer free returns on all non-sale clothing. We mostly carry men's jewelry, clothing and accessories. We use US sizing for all of our rings. Clothing sizes are offered in standard US Sizing and Japanese Sizing. Most of our products are still made by hand here in SoHo, New York City. We also carry a collection of designers from around the world who mostly specialize in handmade clothing and accessories. We accept the following methods of payment:Visa, MasterCard, Discover, American Express or Paypal. How Do I Choose A Men’s Necklace Style & Size? The style and length that suits best will depend largely with the rest of your wardrobe. Longer chains can be worn with partially unbuttoned shirts or V-neck styles, but if you typically wear higher collars then a shorter necklace would be better suited. 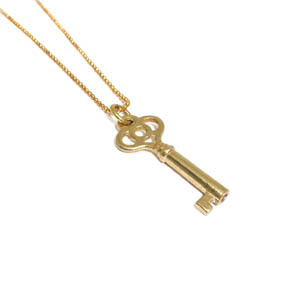 A chain necklace with a pendant can be worn inside or outside of your shirt. Short choker styles can be worn with most shirt styles. How Do I Measure A Men’s Necklace? Start by measuring the circumference of your neck with a soft tape measure. You can also use a string then measure the string later. The smallest necklace that would fit is typically your measured length plus 2 inches. However, for many men this may still be uncomfortably tight on an Adams apple. The most common length of necklace for men is one that falls between the first and second button on a man's shirt or at the collarbone. This is often a 20-inch necklace, but will be different per person based on the width of your neck and length or your torso. How Long Should A Men’s Necklace Be? There is no right or wrong length for men’s necklaces. 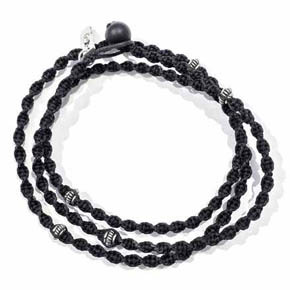 Typically necklaces for men are available in lengths of 18, 20, 22, 24, and 30 inches. The most common length of a necklace for men is a 20-inch necklace that falls between the first and second button on a man's shirt or at the collarbone of most men, with some variance between individuals. The style of your wardrobe will often dictate the length that suits you best. What Sizes Do Men’s Rings Come In? Ring sizes can vary between manufacturers, it is important to take an exact measurement for your finger. Lazaro rings range between size 5 and 11.5, with half sizes available as well. 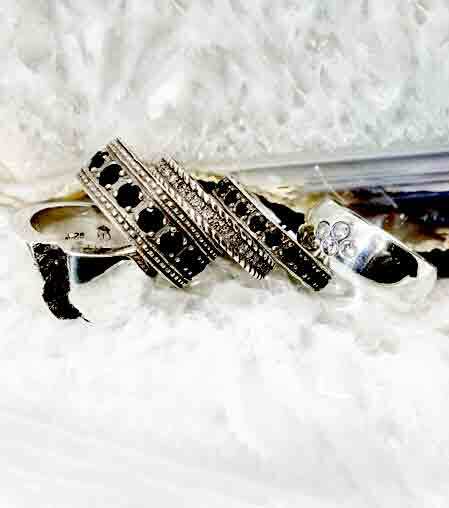 Lazaro also have a handy ring sizer to help you determine the size that works best for you. Which Ear Should Men Wear An Earring In? There are no rules about which ear men should wear earrings in. Unlike wedding bands, there is no historical etiquette for which side earrings should be worn. Men can choose the ear they prefer, both ears, or multiple piercings on the one ear. Certain hairstyles may suit a piercing on one side over the other. What Does A Hamsa Hand Symbolize? The Hamsa Hand is a very old symbol which is seen across many different cultures and religions, including Christianity, Judaism and Islam. 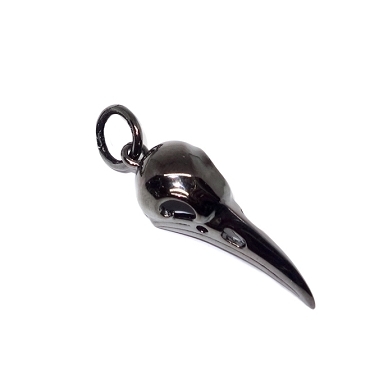 It is a good luck talisman that protects against the evil eye, and brings prosperity and fertility. It is typically believed to have originated in the Middle Eastern region. It is also known as The Hand Of Miriam or The Hand Of Fatama. The symbol is popular in jewelry design, with the intention of being worn everyday as a protection talisman. What Are The Most Popular Styles Of Men’s Jewelry? There are many popular styles of men’s jewelry, men’s pendants are now very common and stylish, and many man choose to wear a ring or an earring. 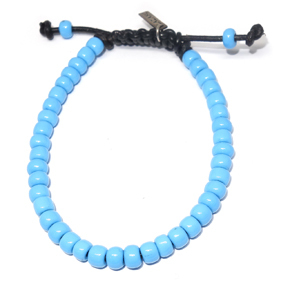 Bracelets for men are also growing in popularity year on year. What Does A Chinese Dragon Symbolize? The Chinese Dragon symbol, seen in some Lazaro jewelry, is inspired by the ancient and legendary Chinese dragon of Chinese mythology. Chinese dragons are very auspicious, they symbolize power, potency, good luck and strength. What Is The Difference Between White & Black Diamonds? Both black and white diamonds are genuine diamonds and they have the same chemical composition, however the structure of a black diamond is different. There are several color variations of diamonds available on the jewelry market. Many diamonds are colorless, while some are almost yellow. Black diamonds, known also as carbonado, have a unique crystal structure and are made up of carbon. Unlike white diamonds, black diamonds absorb light so they look opaque and are not transparent. The grading standards of white diamonds are not applicable to black diamonds. Black diamonds are often a lower price than white diamonds due to availability in the market, but they are not simply a lower quality of white diamond. The values of both diamonds fluctuate based on a number of factors in the wider market. What Is the Difference Between HandCrafted & Handmade Jewelry? Handmade jewelry is made entirely by hand and not by machine. Artisans take time and care to make each item. The quality of the final piece is assured as it is being made carefully by hand, and not one of hundreds of items from a machine. Handcrafted jewelry is also usually of a much higher quality then machine made jewelry because it is checked by a real person, however some of the process of handcrafted jewelry may have be done by a machine, for example a machine polish or the use of a cast for consistency. There is often very little difference in quality between jewelry which is handmade and handcrafted. However, the difference between mass machine made products and handcrafted or handmade products can be significant. How Do You Tie A Men’s Leather Bracelet? You can tie a bracelet in whatever style you like, however a slip knot is the most common tie for a leather bracelet. Which Wrist Do Men Wear Bracelets On? Men can wear a bracelet on any hand. 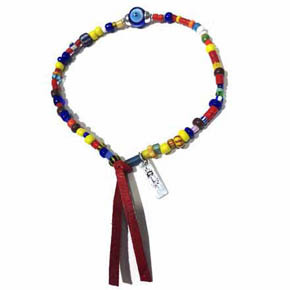 Many people choose to wear a bracelet on their dominant, writing hand. However, you may choose to wear it on whichever side feels most comfortable. Unlike rings, there is no set tradition for which side a bracelet should be worn on. How Should A Men’s Cuff Bracelet Fit? 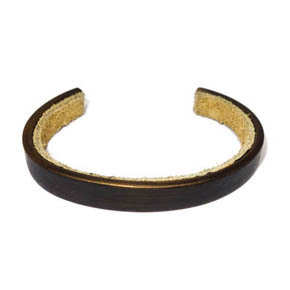 A cuff bracelet should sit tightly on the wrist but not be so tight that it is uncomfortable or pinches the skin. You should be able to move your hand around as normal without fear of the cuff falling off. A cuff for the upper arm should also fit tightly, but allow for the muscle to be slightly flexed. What Men’s Rings Can Be Re-Sized? Softer, workable metals can be resized, such as Gold, Platinum, White Gold, Palladium and Silver. Ring resizing lets you change the band or circumference of a ring in a situation such as weight loss or gain, or moving a ring to another finger. Not every metal can be resized, and even metals than can be resized shouldn’t be pushed more than one or two sizes up or down because it will damage the ring. What Men’s Rings Can Not Be Re-Sized? Contemporary metals such as Colbalt, Tungsten, Titanium, Stainless Steel and Ceramic cannot be resized, the same goes for bands made of non-metal materials e.g. glass, wood and quartz. Be sure to measure carefully before purchasing rings made of these modern metals. Some rings cannot, or should not, be resized because of a design feature, for example if the ring has stones set around the entire band, an engraving, or other design feature that would be ruined or distorted with re-sizing.